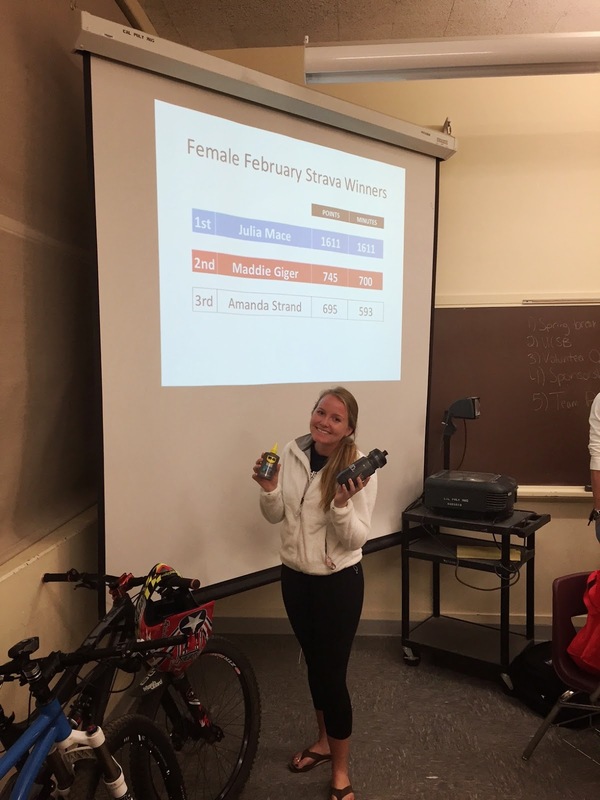 At its Wednesday evening meeting, the Cal Poly San Luis Obispo Wheelmen cycling team crowned its March Strava champions. Sean Bird and Julia Mace were the official champions, for the male and female categories. 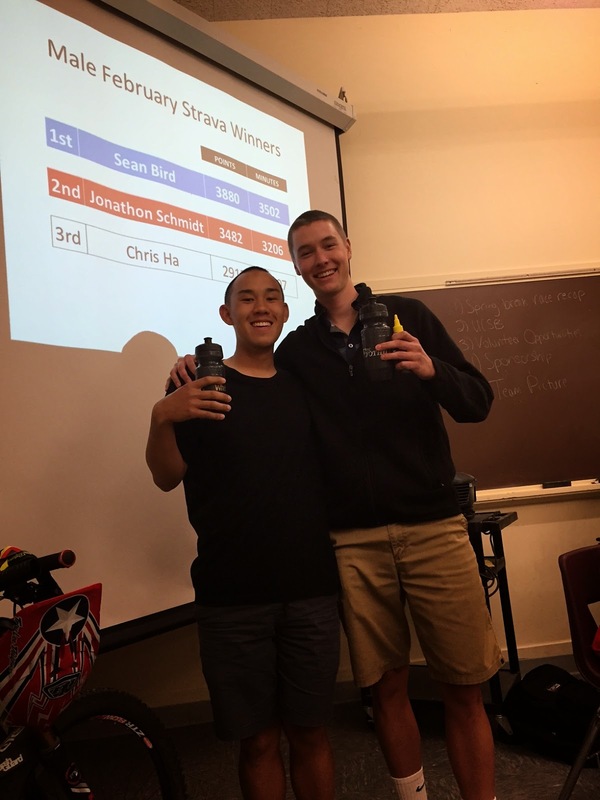 Christopher Ha (left) and Sean Bird (right). 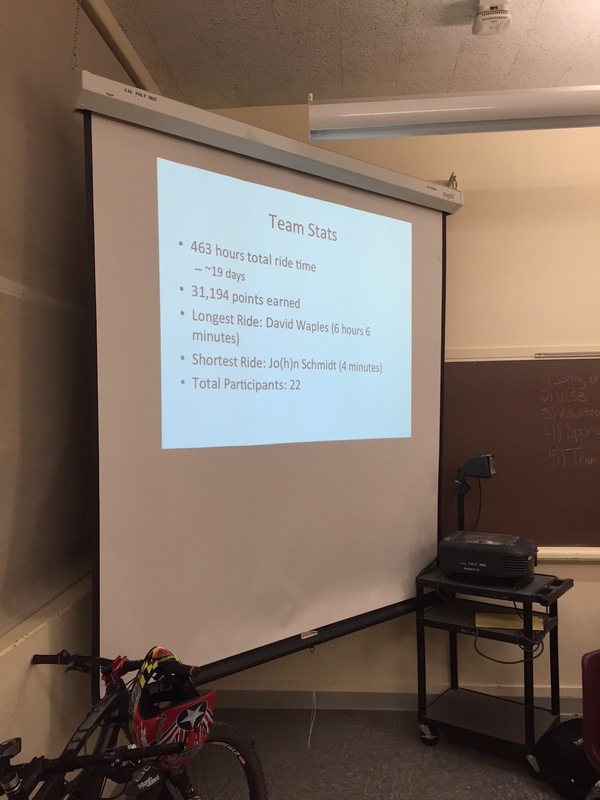 During the month of March, the Wheelmen totaled impressive ride statistics, as a collective unit. A total of 463 hours, or 19 days, of riding took place. Wheelmen ride statistics from March. Wheelmen President Hank Mandsager provided a friendly reminder. Foothill Cyclery and WD-40 generously provided prizes, for the competition.